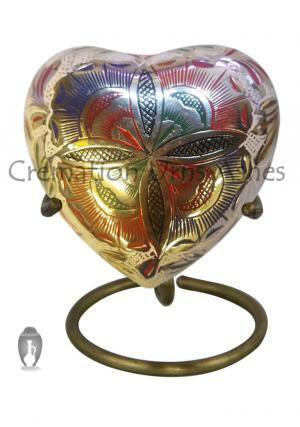 Beautiful keepsake heart urn crafted from high quality Aluminium metal from skilled professionals and engravings of blue swirls. 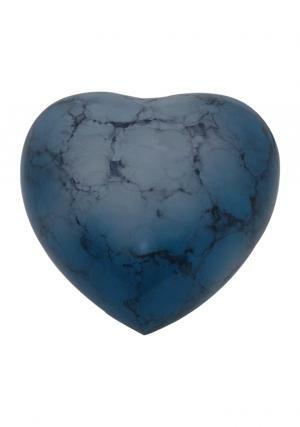 Mini keepsake Heart Aluminium blue urn ashes decorated of blue and white petals. 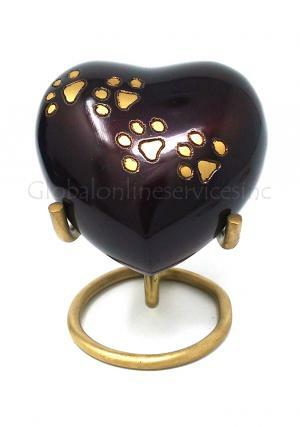 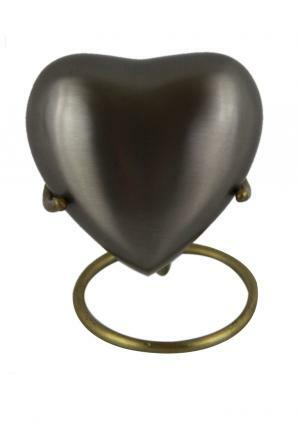 The heart keepsake urn is well polished with smooth glass finish which has screw threaded lid to decorate the ashes of the demised inside the urn securely. 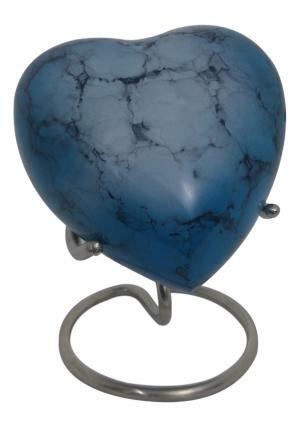 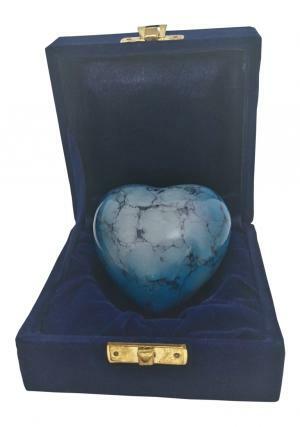 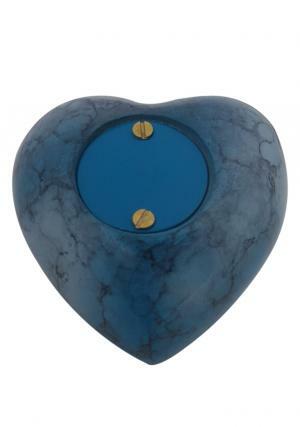 Blue Iris Aluminium Heart Keepsake Ashes Urn is decorated in 0.24 kg weight, width of 1.57 inches and height of 2.76 inches, capable of preserving 3 cubic inch of ashes space.